Magnolia Home Entertainment provided me with a free copy of the Blu-ray I reviewed in this Blog Post. Plot Synopsis: Four siblings (GEORGE MACKAY, CHARLIE HEATON, MIA GOTH, MATTHEW STAGG) move to America with their mother to escape a troubled past. When she dies, they vow to stay together, no matter what. But when a ghostly presence torments what’s left of their family and a lawyer (KYLE SOLLER) threatens their pact, the four must stand together or be torn apart forever. Things get complicated when one of them gets involved with a distant neighbor (ANYA TAYLOR-JOY) who befriended them. The film was helmed by Spanish director Sergio G. Sanchez, marking his directorial debut, who garnered praised with The Orphanage as well as The Impossible (both directed by J.A. Bayona; he served as a producer here). You can see the influences Bayona had on Sanchez with a dark, almost creepy setting, bumps in the ceiling and an evocative production design. 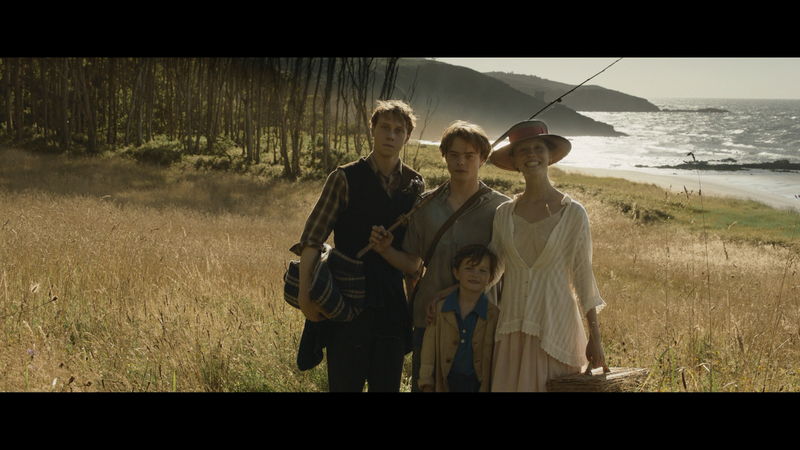 Marrowbone is hardly great and surprisingly the shortcomings were actually with the writing rather than the direction, even so, it’s still a well made drama-horror with some fine performances from the cast, namely MacKay and Taylor-Joy, making it worthy of a rental. This release comes with a slip cover. Deleted/Extended Scenes (29:35; HD) – There are 11 scenes here that either were cut down or deleted completely. With no commentary track, I can only guess it was due to pacing or moving the story long quicker. Behind the Scenes (29:28; HD) – This featurette gives viewers a look at the making-of the movie with interviews by members of the cast and crew. Visual Effects Reel (1:48; HD) breaks down the effects work done, and some actually the entire house. Impressive. 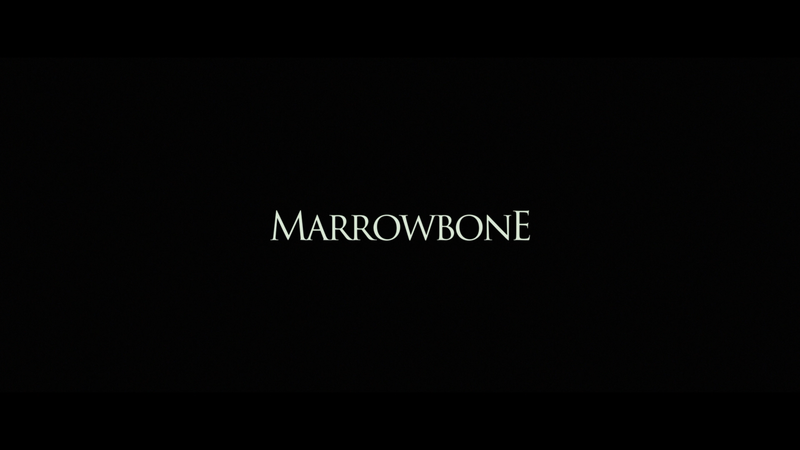 Marrowbone is Magnolia’s first foray into the 4K field. Presented with a 2.40 widescreen aspect ratio and a 2160p high-definition transfer, the picture quality is decent but hardly exceptional compared to other new UHDs. Detail is sharp and well defined, however, while colors are muted due to the subject matter and cinematography, but daylight scenes do look bright and compared with its 1080p Blu-ray counterpart, did receive a slight boost thanks to the HDR. Both the 4K Ultra HD and Blu-ray discs receive a Dolby Atmos track which was sneaky strong. 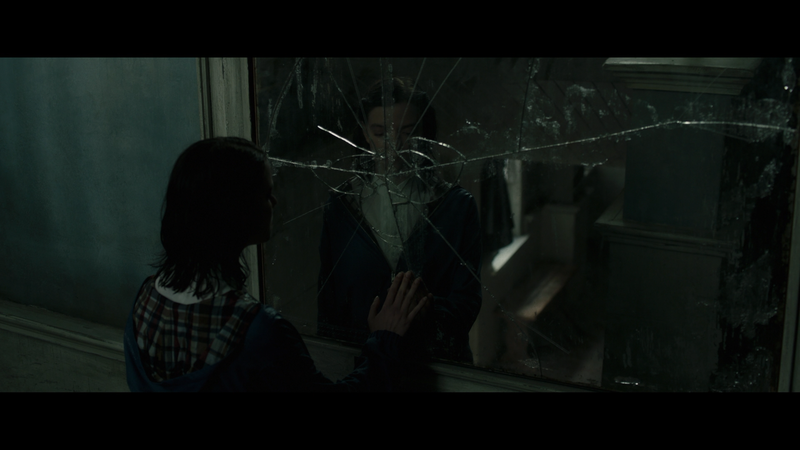 Dialogue levels come through with good clarity and ambient noises do envelope the room very nicely, but where this comes to life is with the LFE, giving an extra boost of depth, as it rumbles though the room at key moments of the film. 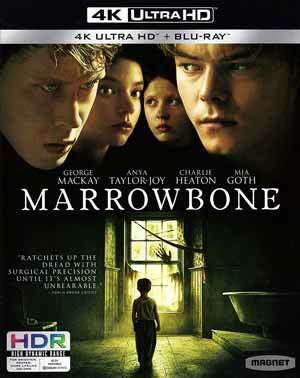 Overall, Marrowbone is an imperfect but effective enough horror-thriller that features some good performances, primarily from George MacKay and Anya Taylor-Joy, and an effective and visceral haunting atmosphere, though the shortcoming with the lack of character development does hurt the film. The 4K UHD release from Magnolia offers up good video and audio transfers, though nothing noteworthy for the former and some okay bonus material.